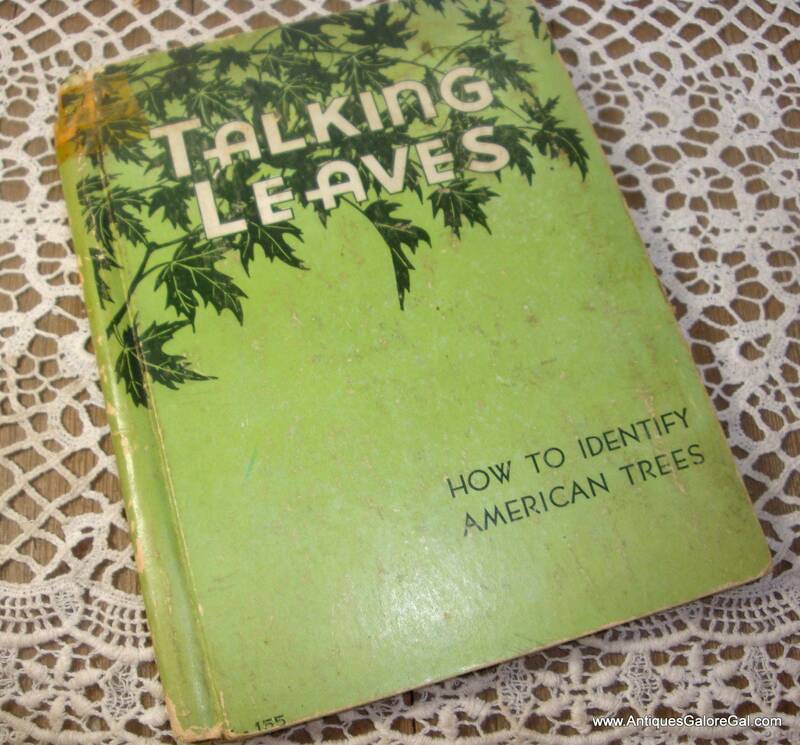 Vintage reference book, Talking Leaves, How to Identify American Trees. Dated 1934, author Julius King. Color illustrations. There are 59 familiar trees that are grouped by families. Match your leaf to a picture. A map to show you what parts of the country the tree grows under it's common name. Hard cover, measures approximately 6 1/2" x 5". Book is in poor condition, however, still usable. Cover is stained, wear to corner and edges. Spine is taped at the top. Inside, the cover is broken at the spine, both front and back. You can see this in the photos. Hand writing in pencil noted. Tanning of paper as expected from age. Only minor staining on the inside. All 62 pages intact, no offensive odors. Questions? Please ask! Book is in poor vintage condition. Please view the photos as they are part of the description. Being sold "as is" and priced for condition. More reference books? Combined shipping available.